Just joined - please to meet everyone. Just looking for possibly flying sites and recommendations. I’m flying a Mavic Air - LOVE IT. Put a few hours in so far and can’t believe how good it is. I’ve been looking for some possible clubs to fly at in my area. Been doing some ad-hoc trial runs with good results. 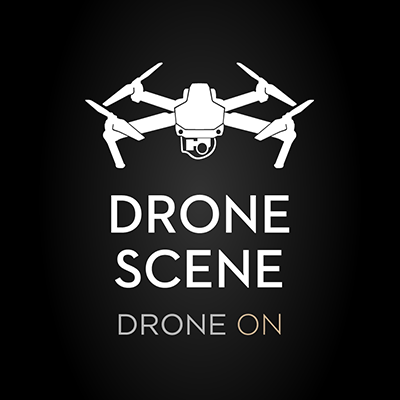 I’ve got the do’s and don’ts from a few apps i have from Drone Assist (NATS) and have public liability insurance just in case. You’ve certainly come to the right place. Im relatively new to drone flying and the members of GADC have been a (constant) great help! Brilliant place to learn. Im also from Notts near Retford. Thanks @sunstone - some good advice already on here. Looking forward to more chat. Any recommendations on upload areas. I know many use YouTube, but seen some on Vimeo. next time i’m your way Boys, i’ll give you a shout for a meet !. Only went past Retford on my way to Lincoln a couple of Sundays ago !. By the way !, a big welcome @Rgascoigne71 to a very friendly bunch of guys here at GADC ! Any recommendations on upload areas. I know many use YouTube, but seen some on Vimeo. Have a look at some of the Members on here that have Youtube Channels, and subscribe to them. I’ve not done a massive amount of vid uploads. Im working on that though as I plan to but so far for the odd upload I’ve just used youtube. Hi Richard / @Rgascoigne71 , and a belated welcome to GADC. 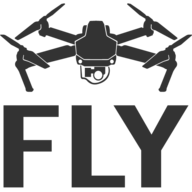 There quite a number of Mavic Air owners on the forum, so you are amongst good company, and plenty of knowledge to answer any questions you may have, that can be posted on #questions-and-answers . If you haven’t already, take a look at the Map of Members. Whilst not every member has added themselves, I’m sure there are other members in your neck of the woods that will come and say Hi that may also have ideas on locations. Also, if you’ve not seen it, check out our map of places where members have flown. This doesn’t mean that all these places can still be flown, but hopefully gives you some ideas to pursue. Thanks @OzoneVibe - thanks for the kind welcome. I’ll look over the details now! Hey up @adamat92 hows it going? Where do you usually fly? In all honesty, I’m still building my portfolio of local areas in which to fly (as well as still learning to fly! ). Ive usually kept it very local to spot near to where I live just outside Retford on the way to Doncaster… Although I am in a ‘Red zone’ im about 12km away from the nearest airport in Finningley (Robin Hood Airport) So using my apps I make sure the coast is clear and have a play. I’ve also found a good flat area just North of West Stockwith that runs right alongside the River Trent, South Street I think its called. Do you have any fav spots to go fly ? @sunstone Not got any favourite spots yet. Just been flying near the golf club in Retford, but it is now unfortunately a red zone. Keep thinking of maybe Tuxford/Leverton Windmill or maybe near the power stations for good photo ideas without having to travel to far. I’d not thought of the windmill. Used to get my porridge from there! Sorry about the late reply. Also from notts and also fly a mavic air. Love them amazing drones.